A wedding just isn’t a wedding without beautiful flowers. 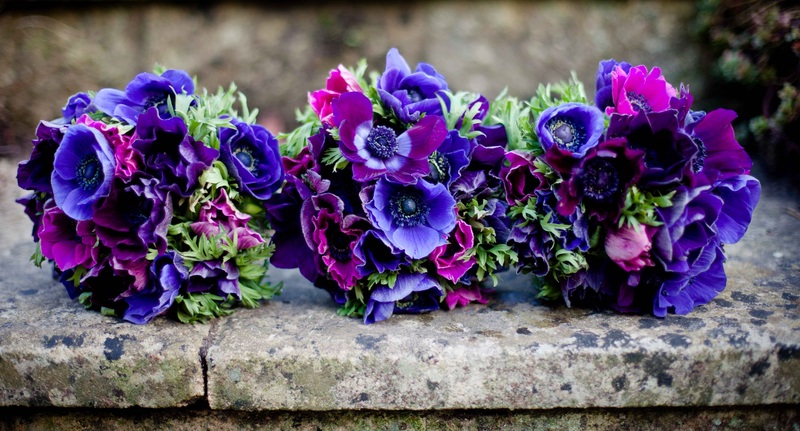 Luckily for us, we have incredible florists on our doorstep. 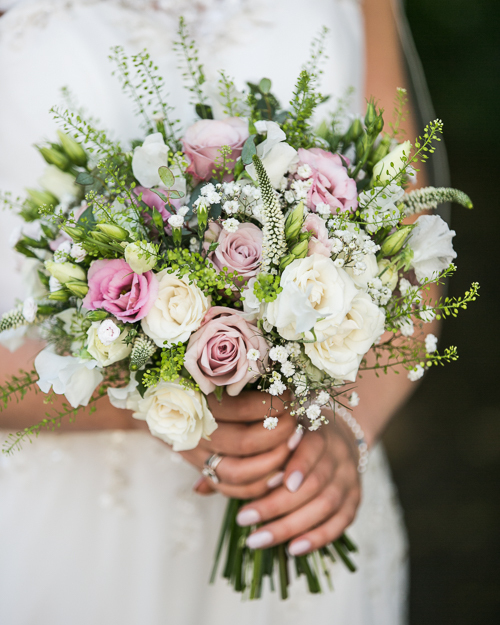 From rustic and wild to pretty and romantic, our suppliers create bespoke arrangements to match the style and theme of your wedding day. What are your predicted trends for 2019 weddings? The informal look is still on trend, with lots of foliage, bigger bouquets and a just picked, natural look using seasonal flowers. We’re also seeing stronger colours, like clove and coral and multi coloured schemes are proving popular. What are the main considerations when planning each wedding? Colour and style! The colour scheme is key; we work really hard to make sure the colours blend well and work together…I’m really fussy about it! We use fabric swatches and paint cards to make sure we’ve got a good record, so we can match the flowers exactly. Also making sure we tune into the feel of each event, the level of formality, the format of the day; the bigger picture if you like! The flowers should reflect the couple’s taste and approach, which will be very individual. We don’t have set menus and we’ve never done two weddings the same! What is your most interesting or fun experience from your time working with brides and grooms? One of the things we love is a good family wedding, where everyone gets stuck in and plays their part in making it all happen!! We really enjoy getting to know people and it’s lovely to be asked back again, to do siblings and cousins’ weddings. I often comment that I’ll write a book about being a wedding florist one day, so many things happen in the course of these events! From freak weather, to runaway chickens, collapsing cakes and dress malfunctions! We never quite know what we’ll be asked to help out with – but we’ll always chip in if we can! What’s special about a wedding at Chew Valley Weddings? The view! One of the best in the valley and just the most beautiful place on a warm summer’s evening. Plus we could walk there from our shop if we needed to, it’s about half a mile over the fields! How long have you been working as a florist and where did you train? This year we celebrate 10 years in business! I started out working freelance, then had a market stall at weekends. We opened our first shop in the winter of 2010 and moved to our Chew Stoke shop in April 2012, so we’ve been based here for 7 years. Prior to that I worked in education, latterly as a primary head teacher. I’m mostly self-taught, although I did train with a florist, to learn some of the basics and also did a business management course. 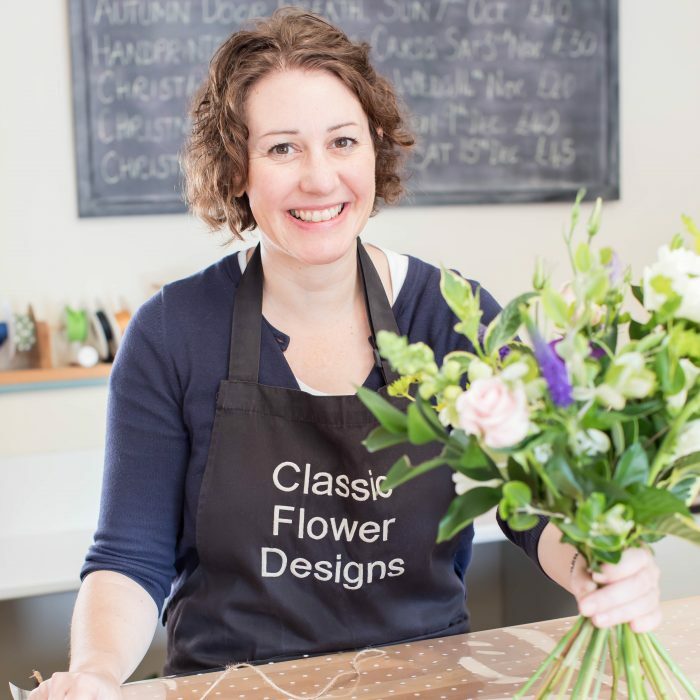 A lot of floristry is about having an eye for it and being able to visualise things – you can’t really learn that. A bit like being a teacher, you’ve either got it or you haven’t! Is there a secret to being a successful florist? As with any business it requires a lot of hard work and dedication! It’s important to be a good communicator; lots of our brides will comment that we listened really carefully to their ideas and delivered exactly what they wanted. We put a lot of time and effort into meeting couples and getting to know them, asking the right questions and checking throughout the process that we’re doing what they want. I want to make sure I get it right for them, it’s their special day and you only get one chance! What flower / object / tool can’t you live without? Floristry scissors. We don’t use secateurs but carbon fibre scissors, which are robust and cut through most things! An apron with pockets to stuff everything in, from the above scissors, to my phone, bits of string, petals and stray leaves! Our trusty van… big enough to get everything in, but small enough to squeeze around these narrow country lanes.